The total solar eclipse provides a rare opportunity for scientists to study the Sun, particularly its atmosphere. Scientists will observe the solar corona using stabilised telescopes aboard the WB-57F aircraft. 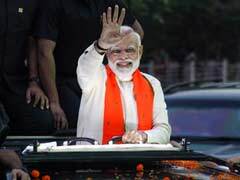 Washington: In a first, scientists are planning to chase the shadow of the Moon using NASA's research jets during the upcoming total solar eclipse in the US, in order to capture the clearest ever images of the Sun's outer atmosphere. 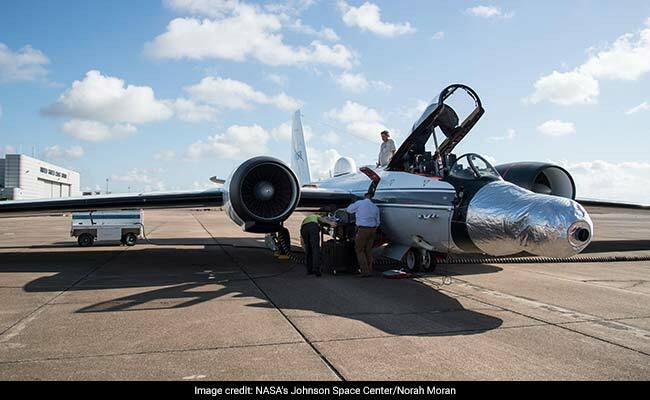 Amir Caspi of the Southwest Research Institute in the US and his team will use two of NASA's WB-57F research jets to follow the darkness across the US on August 21. Taking observations from twin telescopes mounted on the noses of the planes, Caspi will capture the clearest images of the Sun's corona to date and the first-ever thermal images of Mercury, revealing how temperature varies across the planet's surface. Amir Caspi and his team will use NASA's WB-57F jets to follow the darkness across the US on August 21. "These could well turn out to be the best ever observations of high frequency phenomena in the corona," said Dan Seaton, researcher at University of Colorado in the US. As the Moon completely covers the Sun and perfectly blocks its light during an eclipse, the typically faint corona is easily seen against the dark sky. 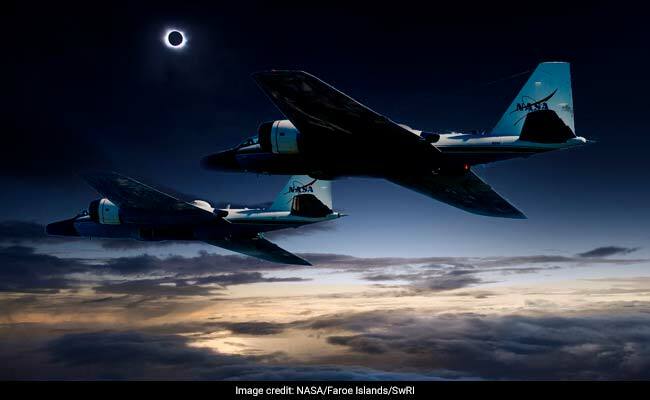 During the upcoming total solar eclipse, scientists will observe the solar corona using stabilised telescopes aboard the WB-57F research aircraft. This vantage point provides distinct advantages over ground-based observations, researchers said. The corona is heated to millions of degrees, yet the lower atmospheric layers like the photosphere - the visible surface of the Sun - are only heated to a few thousand degrees. Scientists are not sure how this inversion happens. One theory proposes micro explosions, termed nanoflares - too small and frequent to detect individually, but with a large collective effect - might release heat into the corona. No one has yet directly seen nanoflares, but the high- resolution and high-speed images to be taken from the WB-57F jets might reveal their effects on the corona. The high-definition pictures, captured 30 times per second, will be analysed for wave motion in the corona to see if waves move towards or away from the surface of the Sun, and with what strengths and sizes. The two planes, launching from Ellington Field near NASA's Johnson Space Center in Houston will observe the total eclipse for about three and a half minutes each. By flying high in the stratosphere, observations taken with onboard telescopes will avoid looking through the majority of Earth's atmosphere, greatly improving image quality. At the planes' cruising altitude of 50,000 feet, the sky is 20-30 times darker than as seen from the ground, and there is much less atmospheric turbulence, allowing fine structures and motions in the Sun's corona to be visible. Observations of Mercury will also be taken a half-hour before and after totality, when the sky is still relatively dark.